The Society of Motion Picture and Television Engineers (SMPTE) is seeking proposals for technical papers for the SMPTE 2017 Annual Technical Conference and Exhibition (SMPTE 2017), October 23-26, 2017, in Hollywood, CA. Proposed papers must be informational and address technical theory, research, innovations, applications, or practices specific to an evolving technology relevant to the media industry. Abstracts must be submitted online no later than May 15. 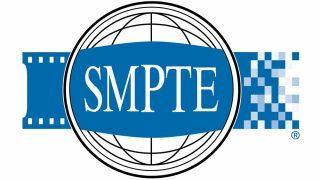 "As SMPTE enters its next century, technological innovation is accelerating," said Sara Kudrle, SMPTE education director, SMPTE fellow, and SMPTE 2017 program committee co-chair along with Thomas Edwards. "The technologies that enable creative storytelling have already made significant advancements. Higher resolutions, faster frame rates, wider color gamut, and bit depths are regularly being introduced while current conversations are exploring IT and cloud technologies, virtualization, and artificial intelligence with a focus on how they will impact the industry. The papers presented at the conference will delve into these and other key questions shaping the future of the motion imaging industry."